Is Uber in Prague safe to use? Taxi services in Prague are subject to a national law on road transportation. In the media and tourist guides, some taxi drivers have become infamous for failing to comply with established maximum prices and violations of the law, and this has been one of the visible topics of communal politics for many years. Prague has put forward amendments to laws to help resolve the situation. The taxi service in Prague is currently provided only by private subjects. Since January 1, 1962, the monopolized city taxi service has been incorporated into the Prague Transport Companies of Prague, together with the car rental service. 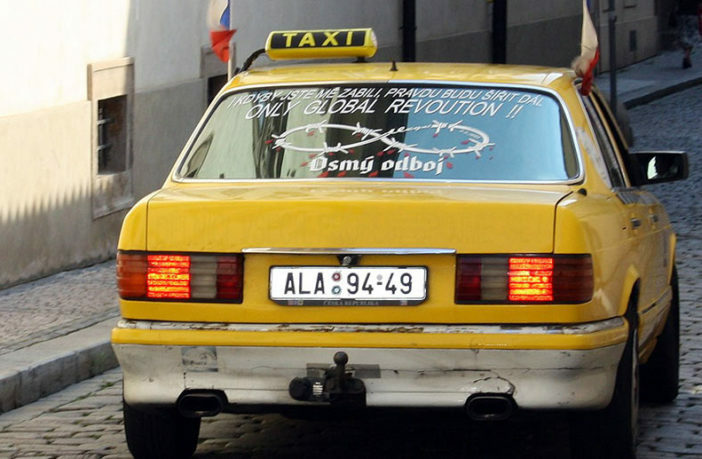 On January 1, 1989, the State Company Taxi Praha was established by the founding charter of the National Committee of the City of Prague, with its registered office in Trojická Street, but after a change of circumstances, the company was soon liquidated by a decision of Prague board of directors No. 6/11 of 30 May 1991, on June 1, 1991. Then this sector was liberalized and left entirely to the private sector. Deputy Mayor Petr Hulinský and Petra Buzková (at that time a candidate for the Mayor of Prague) came to the beginning of 2006 with the intention of setting up a new city taxi service that would compete with the private services, and the suggestion was also supported by the independent deputy Michael Hvízdal, former ODS member, and the Freedom Union, but there was no wider response to it. Taxi services are among those public transport components in the capital city of Prague which are not subsidized from public sources. Basic conditions for the operation of a taxi service are established in the Road Transport Act. The City of Prague determines maximum prices, which allows the taxi services to be included among services with regulated prices according to the Ministry of Finance resolution, published under the Pricing Act. However, the right to regulate taxi services in Prague was successfully challenged in court at least once. The situation in Prague taxi services has been a constant and controversial topic of Prague’s municipal policy since the 90s. Both the media and foreign tourists point to the systematic over-pricing of fares, non-compliance with legal conditions, and various frauds. Most of the taxi stations (those located on local roads) are operated by the Technical Communications Administration. In 2002, it organized a “lottery”, intended to pick up candidates for management and exclusive use of the most lucrative taxi-stations, with the operator of the taxi station being held responsible for the offences committed by his drivers. In 2006, the city issued a decree on the operating rules of taxi stations, which stipulates certain additional conditions (equipment, class, and color of the vehicle) as a condition of using taxi stations. The drivers who meet these requirements are provided with other benefits by the city (such as the use of dedicated lanes). Until 2006, the city operated on the bounds of the law by giving out various non-public annexes to the contract between the town and the taxi station operators as the operating rules for taxi stations, and by adjusting the issues that in fact exceed the traffic regulation at the taxi stations by the decree of operating rules. Among others, the city authorities were blamed for incorrect and often illegal procedures by Cech Taxi Prague, whose activities also covered self-employed taxi drivers operating their own cars, and also by Jiří Kvasnička, the owner of AAA Radiotaxi s.r.o, which is reportedly the most important dispatching center (organizer) of Prague taxis. Another problem is some services that are advertised as taxis in commercials, but are legally reported as occasional passenger services, which are not subject to the license and price restrictions which are applicable to taxi services. In such a case, orders and payments should, according to the law, be carried out outside of the car; however, the competing taxi services suspect that in many cases this difference from taxis is not complied with, and it is only a circumvention of the conditions for operating a taxi service. In February 2009, the reserved lane in V Holešovičkách was the first in Prague to be tested for taxis. Subsequently, there also appeared one for part of Strakonická Street. Since May 2009, the use has been extended to city buses, bicycles and taxis in the streets Českobrodská, Duškova, Horňátecká, Vrchlického, Vysočanská, and Zálesí; in the streets Kuklova and Ke Krci the use has been extended only for taxi services. Horizontal marking of these lanes was supposed to be modified during the summer of 2009. The urban decree limits the use of dedicated lanes for taxis only to those operators whose vehicles comply with the requirements of the urban decree. A specific dispute took place around the site in Old Town Square, the winner of which was SEDOP. This taxi station has been used by drivers who advertised a fare several times higher than the city’s maximum price regulation allows, most often CZK 99 per km (compared to the city’s maximum price of CZK 28 per km), and their lawyers, Klára Slámová and Ilja Kubíček, argued that such a price regulation does not correspond to the eligible costs and is thus unjustified, just as it was not entitled to bind the use of the taxi station on public roads and to determine the color of the wagons that can use it. The town gave SEDOP a tenancy notice three times (for the first time in 2005), but the company has repeatedly challenged the validity of it. Since summer 2006, city police officers have been distributing leaflets with the following text to potential customers: “The prices marked in the price list of this vehicle are inconsistent with the price regulation of the City of Prague, and their accounting also violates this price regulation.” In April 2007, the Prague 1 District Court imposed a fine of CZK 100,000 on Prague City Hall for failing to comply with the court’s preliminary ruling and, on the contrary, preventing the tenant’s drivers from using the site. In July 2009, the City Court decided on the validity of the second notice and the municipality shut down the taxi station at Old Town Square by turning it into a parking lot for the disabled. However, a representative of Taxi Prague, a union, argued that there had not yet been a dispute about the validity of the third statement, which issued a preliminary ordinance prohibiting the municipality preventing taxi drivers from using the site. Judicial and administrative disputes around some of the fines imposed by the municipality on drivers are also still being conducted. From 2002 to 31 August 2009, the municipality imposed 1468 fines on taxi service providers, totaling over 141.8 million CZK. Around 100 taxi drivers out of a total of around 5500 were charged with offenses. Less than half of the total amount of fines imposed was enforced by executions, and about one-third (CZK 46.4 million) had not been paid by October 2009. According to ČT24 TV channel, most of the time, the maximum prices stipulated in the city regulation and the “leasing of concessions” were exceeded and thus punished. The City of Prague has repeatedly initiated changes to the Road Transport Act and other laws that should lead to the solution of taxi services problems. In 2005, the City of Prague proposed an amendment which was finally adopted in the wording of a complex Amendment made by the Member of the House of Representatives, Mr Hovorka. This amendment abolished the territorial limitation of the validity of the taxi driver’s licenses, introduced possibilities for the detention and removal of the license, and redefined the reliability of the taxi driver. The following amendment to the Pricing Act significantly increased the upper limit of possible fines. As of June 1, 2008, the City of Prague has introduced the proposed amendment to the Pricing Act, which was intended to prevent taxi drivers from obstructing the acceptance of documents from administrative proceedings by extending the limitation period. On October 22, 2009, the Prague Prosecutor’s Office approved a proposal for a major amendment to the Road Transport Act, which the city will submit to the Parliament of the Czech Republic in November. This amendment will fundamentally change the way drivers and taxi drivers are registered, and adjust the conditions for taxi authorization, change the definition of taxi services, set additional restrictions and obligations for the provision of occasional passenger transport, introduce new sanctions, for example, confiscating the vehicle for the benefit of the municipality, regardless of who is its owner, etc. As at 31 December 1999, 2934 trades licensed in the Czech Republic were registered with the subject of “taxis” and 6 with the subject of “personal motor transport – non-regular”. As of April 1, 2004, 2845 licenses for taxis and 495 for so-called “contract carriage” were registered. As at 31 December 2005, 5288 tax authorizations and 2252 for “contract transport” were recorded. There are only 3436 active tax audits, of which 3145 are for natural persons and 48 for legal entities. As of 28 February 2006, 14 operators with more than 25 employees and 3650 operators with no or less than 25 employees were registered. As of 8 June 2006, 5561 taxis were registered in Prague. According to the unspecified study of the Quebec Ministry of Transport, there is an optimal coefficient of 2.1 vehicles per 1000 inhabitants; in Prague, this tax rate should be around 2440 taxis. In 2009, according to the Deputy Mayor Rudolf Blažek, 4781 taxis and 3700 taxi drivers were registered in Prague. Since 2010, the number of registered cars has increased regularly. In 2013, the municipality claimed that there were more than seven thousand drivers in the metropolis. At that time, Prague City Hall stated that there were at least twice as many taxi drivers as needed. According to the City Council, this greater than double supply over demand leads to dishonest practices and is the reason why unfair taxi drivers are overpricing for their services. In 2014, Uber entered the market as an intermediary for securing so-called contractual carriage, not a taxi service. According to the authorities of the Uber company, its cars are obliged to ride with a visible taxi designation and an officially approved taximeter, just like other taxi cars. Together with Uber, other companies running mobile applications such as Liftago, Taxify, and Hopin also came to market. In 2017 it was stated that there are 5000 taxis in Prague, but Prague City Hall does not have more details about the number of licenses. For Uber, there are 2000 drivers, Competitive Liftago has 1100 drivers in Prague, and Taxify did not claim the number of its drivers. However, the number of drivers cannot be summed up easily, as some drivers drive for more dispatchers and applications as intermediaries.